Available as a single or linked light kit. The bright LED Flood Light has up to 22,000 hours of usage, and is up to four times more efficient than the halogen equivalent. The LED Flood Light is compatible with our straight and curved pop up stands. 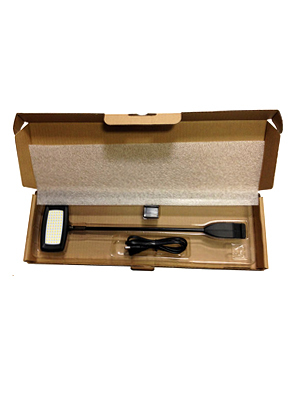 Our low voltage light can be fitted in minutes and will produce a bright 1200 Lumens to illuminate your display. If you are powering your lights separately or purchasing more than a single light kit; or you intend to have your lights more than 2.5m apart, you will need to purchase an additional transformer.